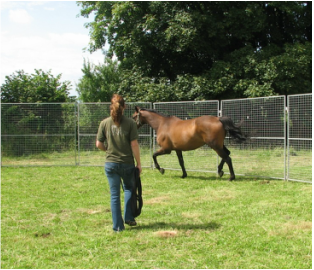 This is a one day course, comprised of both practical and theory, to teach you all about horse psychology. We will discuss why the horse behaves the way it does, and look at the importance of our body language and how it affects the horse. You will watch a demonstration of Join-Up by Anna, to show the effectiveness of body language and how to get the horse to respond in a positive manner. You will also have the opportunity to work in the round pen, learning how to be the leader for the horse, by controlling it's movement and using your energy to control speed. 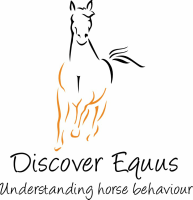 If you would be interested in participating in the Horse Psychology Course, please contact Anna at discoverequus@gmail.com to discuss dates.